Roger Clemens‘ precipitous descent from one of the game’s top power pitchers to landing under a multi-count federal indictment “was completely self-inflicted,” former Congressman Tom Davis told FanHouse on Thursday. This forum, however, came with a caveat: the seven-time Cy Young Award winner had to go under oath with no promise of immunity. That public relations move fully backfired Thursday as United States Attorney Ronald C. Machen Jr. and Shawn Henry, assistant director in charge of the FBI’s Washington field office, announced that Clemens would face one count of obstruction of Congress, three counts of making false statements and two counts of perjury. Clemens, whose appearance in front of the committee was completely voluntary since he was not subpoenaed, faces a combined maximum sentence of 30 years in prison and a $1.5 million fine, although he would likely only serve 15-21 months if convicted on all six counts under current sentencing guidelines. Today’s news is bound to produce a bevy of reactions that will all sound something like “why is the government wasting resources and taxpayer money pursuing this case?” In fact, I would guess there’s a good chance you’re saying something similar right now. But I’ve never liked that line of thinking much because we have rules about lying under oath for a reason. And those rules become absolutely worthless if we summarily pardon anyone who is suspected of doing so. Now, if you want to argue that Clemens shouldn’t have been summoned to a position where he could be accused of lying, that’s a different debate altogether. With much bigger battles out there to fight, the insistence of politicians on becoming involved with sports and PEDs is probably more misguided than any of our shrugs over this Clemens charge. In other words, if the prosecutors are going to start this controversial job, they better have a pretty good idea of how they’re going to finish it in a timely and efficient manner. Well, that’s where our real issue with this action should lie. Wouldn’t a simple “my bad” have spared him a fidgety appearance at a 2008 congressional hearing that was both sad and hilarious, where he used awkward words (“misremembered” being my favorite) and a variety of silly replies to charges made by Brian McNamee, his former trainer? Wouldn’t Clemens have been better served by taking the road followed by Andy Pettitte, his close friend and training partner, who ‘fessed up and still enjoys hero status in the Bronx? Would Clemens be facing the same disgraceful fate as Marion Jones, the Olympic sprint queen, who was locked up for nearly six months? Yes, it was arrogance that doomed Clemens, nothing more or less, and exposed him as a fraud. You can understand why. For years, that attitude served him well. It allowed him to intimidate hitters with those strike zone-seeking missiles he threw with amazing consistency for 24 years and two tours of duty with the Yankees. It encouraged him to famously fire some high heat at Mike Piazza‘s head and then grab a broken bat and hurl it at Piazza’s feet. 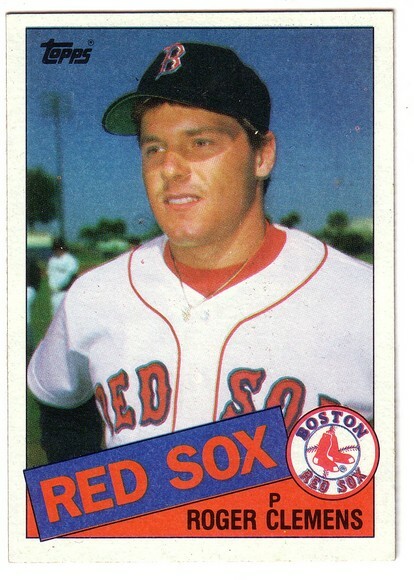 It made him do whatever possible, even if it were illegal, to strike back at then-Red Sox general manager Dan Duquette, who dismissed “The Rocket” as being finished when Clemens left Boston. And arrogance told Clemens he was a better man and would cut a more believable figure at that hearing than McNamee, who in the big picture was a complete nobody. At least the Republicans on the panel thought so, anyway. Let me make this clear: I dislike Roger Clemens — Rajah — a guy whose achievements on the field do not match his outsized ego, and considering he won 354 games, that is saying a lot. So why in the hell are federal prosecutors dogging the man? Why are they indicting him? Because he used steroids? Hell, they all did in the 1990s, including A-Rod. If the difference between making $1 million and making $10 million was taking a banned drug, I would take them. But the feds cannot get him for that because of the statute of limitations. So he will be indicted for lying to Congress. That’s like breaking wind in a stockyard. For those of you not permanently traumatized by the 2000 World Series, yes, that is Roger Clemens about to throw a bat at Mike Piazza’s head. And no, not only was he not arrested, he wasn’t even thrown out of the game. Go figure.